Editor’s note: This is a guest article from Florida based wedding photographer Richie Acevedo. Richie was one of the first photographers mentored by Vanelli many years ago. Impressed with how far he has come, Vanelli suggested Richie start sharing his knowledge through writing and video tutorials. In business, the truth is it takes money to both make or waste money. So, how do we know if we should invest our time, energy and yes, money, in a venture? We should start by asking questions and seeking advice from those that have succeeded or failed in the venture. Over an early morning breakfast, I asked Richie Acevedo — a talented wedding photographer who just came back from a bridal show — if the show was worth attending and having a booth at the event. His simple answer, yes. Here’s why he feels photographers should consider attending bridal shows. The obvious benefit of attending a bridal show is to gain new clients. This bridal show only had 200 couples, but they were quality leads. They have already committed to getting married and in need of specialty services making this event worth it for wedding photographers, florists, DJ’s, wedding planners and boutiques selling wedding dresses (obviously divorce lawyers and online dating sites would not do well). These quality customers need your services and they need to make arrangements by a certain date in the near future. The bride and groom are not the only ones attending the show. Sometimes they drag a family member or friends with them. These are potential new clients for other photography services you offer — family, seniors or baby portraits. If they are impressed with your skills as a wedding photographer, they may remember you when they need a photographer. Bridal shows are a fantastic way for brides and grooms to get started or complete their wedding plans. It’s a one-stop shop for them to meet and potentially hire wedding service providers. It’s also a great opportunity for photographers to network with these providers. Sharing a few behind-the-scenes photos with these providers and letting them use these images for social media or even advertising will keep you on their mind and refer their clients to you. The cost to attend this bridal show was about $500 — not including personal time. Three couples signed contracts and paid an upfront deposit on the day of the bridal show. The average packaged sold was a little over $2000. So it took $500 to make a little over $6000. Not a bad return on my investment! And keep in mind — this doesn’t include potential customers or following up with couples after the show. 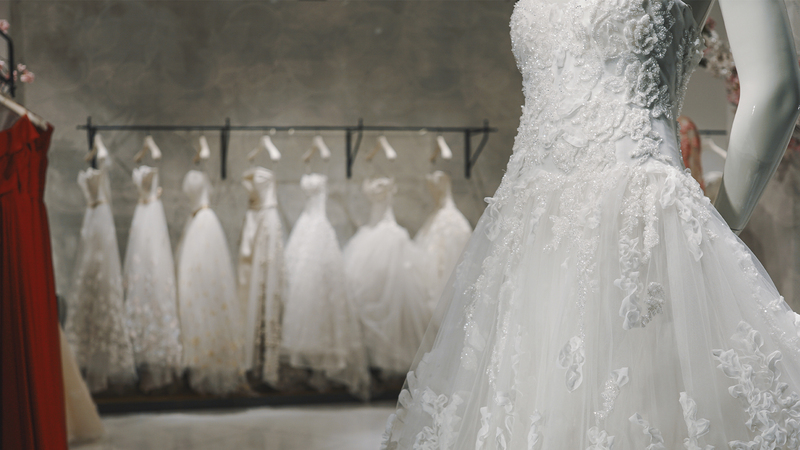 Before you jump in and start investing in bridal shows, attend one in your area as a guest. If the cost to rent a booth is right and you feel it’s a quality event, take a chance on the next show. The odds of spending money to make money is in your favor.